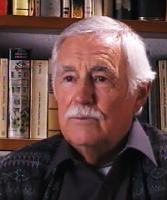 Helmut Creutz, born in 1923 in Germany, is an experienced financial practitioner and analyst and has presented his analytical findings about money matters in uncountable publications, lectures and seminars. In 1990 he was appointed for a teaching position at the University of Kassel and proposed for the Alternative Nobel Prize by many friends. Helmut Creutz, has had more than thirty years professional experience in financing, economic calculations and viability testing, carried out his investigations for about twelve years before the first edition of The Money Syndrome was published. Through careful study and research he wanted to provide material that would withstand close scrutiny and present it in a way that would be comprehensible for anyone. He lucidly explains the economic terms and functions that surround money and shows his factual findings in numerous diagrams and graphs, using the example of Germany's economy since World War II. He then shows the various effects of our present world monetary system on a vast range of fields including agriculture, social instability, the degradation of the environment, the over-indebtedness of the Third World and a trend toward triggering wars.